When property owners discover they have a termite problem it is important that termite treatment be accomplished by a licensed termite control expert. There are different types of termites and the extent of the problem will dictate the best termite treatment method we will use. Termite Control Arizona is specially trained and licensed for termite control. Arizona has a climate that is attractive to termites. Our affordable termite treatment options will get rid of those destructive pests – guaranteed! Termite Control Arizona will apply the appropriate termite treatment to safely eradicate termites from your dwelling or structure. We don't recommend that homeowners try to do this themselves. There are different types of termites and using the wrong treatment or applying it incorrectly can cause injury and further damage to the property. Ask us about our termite report for the sale of a home. When we notice that your property is showing signs of a developing termite problem, we may recommend spraying the inside and exterior of your building with termidor and other chemicals. We will also recommend sealing the areas where termites are known to have entered. This process is safe for both humans and pets and doesn't require you to vacate the premises. Depending upon the size of your property, the entire process takes less than an hour. The chemicals will dry in about thirty minutes. Termites can crawl through a very tiny hole to take up residence in your property. Our termite control experts may use a bait system when they discover a small colony of termites that are generally confined to small areas. Any holes or cracks that the termites use to gain entry will be patched and repaired. The termites crawl into the bait station that we set up to eat the poisonous food. We periodically inspect the bait stations until the termites have been completely eradicated. If your home or structure has a severe termite problem then we may recommend that the building be fumigated. The fumigation process involves covering the entire building in a large tent to contain the heavy dose of chemicals that will be used to exterminate the termites. You may need to remove and pack dishes and other kitchen utensils as well as cover up your furniture and bedding. In addition, the building will need to be vacated until the process has been completed which can take anywhere from 24 to 72 hours. Termite Control Arizona offers a free termite inspection to make sure that you receive the best termite treatment for your specific property. Call today to schedule a visit! | Bed Bug Lawyer | Daniel A.Gibalevich - Personal Injury Lawyer | Personal Injury Attorneys PLLC | For Phoenix Windshield Repair or Auto Glass Replacement click here. 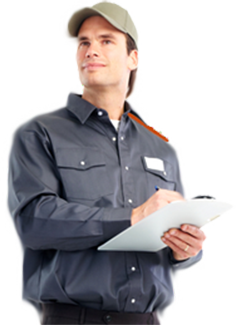 "Fast, Reliable Service. Tony was great and his estimate was accurate. I will use them again." "I was referred by a friend to try Termite Control Arizona. They did a fantastic job and got rid of the bugs"